Internet dating and the hidden perils thereof; a rookie cop from Wichita, Kansas, thrown in at the deep end in a murder case assigned to a headline-grabbing detective; a blood-thirsty serial killer prowling the New York city pavements and the internet highways; the ominous shadows of the Russian mafia and of FBI agents who may be up to no good. Strong ingredients which Alafair Burke, well-known for her series featuring Assistant District Attorney Samantha Kincaid, handles with skill, setting a keen pace and creating a smart, layered plot. I enjoyed ‘Dead Connection’, NYPD Detective Ellie Hatcher’s first foray into murder investigations. She’s an appealing character, both soft and hard, and interesting enough to make me want to read more of her adventures. 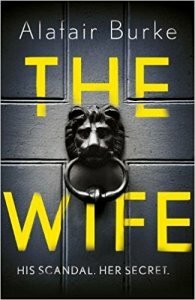 Wichita-born Ellie Hatcher has powerful motivations for becoming a police detective – her father was one, and he died tragically, hunting a serial killer in their home town – yet her path to the shield is as casual as wanting to look after her younger brother in New York, and failing to make it in the legal profession in the Big Apple, as she had hoped to. She’s both ordinary and original – refreshingly far from the flawed policemen/women with a wrecked personal life who have become almost run-of-the-mill in crime fiction . Compared to Hatcher, some of the other characters are pigeon-holed perhaps a little too neatly, showing hardly any of those slight derailments that make us human, and fictional personae better realised. The maverick cop Flann McIlroy, with whom Ellie Hatcher gets partnered to solve the murders of several women potentially connected via a dating website, is the classic maverick cop, full-stop. The money-grabbing entrepreneur who owns the dating site and refuses to help detectives, is a jerk, period. Journalists are a bane for law-enforcement agents (unless they’re cool and likable, as Hatcher discovers) and Russian émigrés have the standard character flaws you’d expect from… fictional Russian criminals. Among the exceptions, a moody FBI agent who appears intent on dogging Hatcher and McIlroy’s footsteps in the investigation, despite the fact that the cases appear to be anything but federal in jurisdiction. 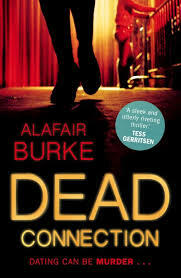 Burke portrays a vulnerable, compassionate G-man- quite a rarity in American crime-fiction – to good effect, adding a clever twist to the story, another layer to the already tricky plot. The story does remain cop-central: Hatcher gets herself into enough trouble through her gung-ho style of detection to keep the reader riveted, and she’ll have to work overtime to unravel a mystery that turns out to be more complicated than anyone initially thought. Alafair Burke is adroit at spinning what becomes a satisfyingly complex story with assurance, and her narrative timing is very good. Welcome Ellie Hatcher to the crime fiction scene, I look forward to reading more about you.